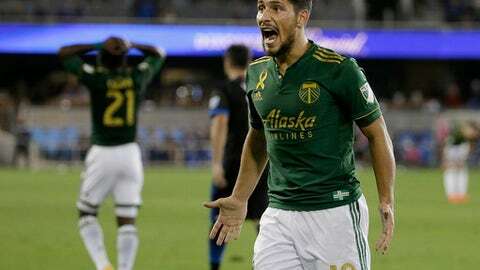 SAN JOSE, Calif. (AP) Valeri Qazaishvili had a goal and an assist to lead the San Jose Earthquakes to a 2-1 victory over the Portland Timbers on Saturday night. Qazaishvili bent his shot to the right post and past diving goalkeeper Jeff Attinella in the 16th minute. Danny Hoesen shot between a defender’s legs and into the bottom left corner of the net in the 49th minute. Chris Wondolowski and Qazaishvili assisted on the goal. The Timbers’ Sebastian Blanco scored in the 87th minute for his sixth goal of the season.